New Year’s resolutions are a popular way for people to kick off their year with a specific goal. For some people it may be to get into the gym more often, while for others it may be to spend more time at home. Whatever the goal may be, it can be a challenge to follow through and make it happen all year long. For many people, a New Year’s resolution may go strong for a bit before petering off in February or March. One way to follow through with your resolution is to pick one that someone else can help you to achieve. If you want to get started on getting a straighter smile, Dr. Cabal and his team in Fort Worth, Texas can help you do so. Many people mistakenly believe that crooked teeth or a misaligned smile are only cosmetic issues. You may feel frustrated looking in the mirror and seeing teeth that do not line up properly. While your confidence in your smile is important, straighter teeth also have health benefits. 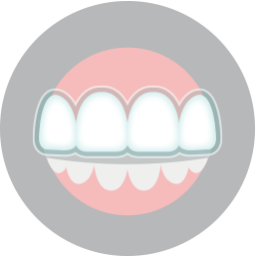 Crooked teeth are more likely to sustain damage because of their odd angles. Crooked teeth are harder to keep clean, which can leave bacteria in your mouth for long enough to cause tooth decay and gum disease. Misalignment can put an excessive amount of strain on your jaw muscles and joints, which can increase the likelihood of developing TMJ disorder. Straightening your teeth can lower these risks. If you have put off straightening your teeth because you fear the way that treatment will look, you should know that there are cosmetic options available to you. 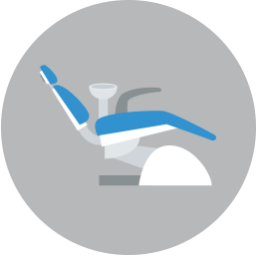 For mild to moderate needs, Invisalign clear aligners can offer you very discreet orthodontic treatment. For greater needs, traditional braces can be outfitted with tooth-colored brackets to offer a less noticeable option. Are you ready to straighten your smile? Dr. Cabal can help you achieve a straighter smile. To schedule your consultation call Lake Country Orthodontics in Fort Worth, TX at (817) 236-7846. Our office proudly serves patients who live in Ft. Worth, White Settlement, North Ft. Worth, Springtown, Rome, Haslet, Azle, Saginaw, and all surrounding communities.